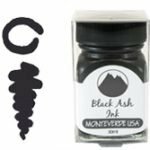 Monteverde has revamped their ink collection into something no other manufacturer has done. Rather then making bigger and fancier bottles and charging lots more, Monteverde has shrunk the sizes of their bottles by half or more to the happy little size of 30 Ml. 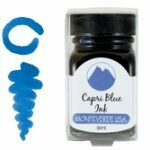 At first I thought this was silly because one would need to constantly buy a new bottle of ink costing the user a lot more in the long run. However as we all know NO one has one bottle of ink, we have many, some in our offices some in our homes, bags and briefcases, not to mention the gazillions of little sample vials we have from years of subscriptions we could never stop. What about the bottle of Diamine’s Hope Pink you bought 3 years ago thinking it would look great with the white stock note cards you bought, used it once now it’s collecting dust in your ink drawer, wait did I say ink “drawer? !” Yep me too I have ink all over the place. In a lot of ways Monteverde puts an end to this buy reducing the size or offering a smaller size bottle, They still make a larger 90ml bottle but that’s another blog. These colors are deep and vibrant. The coverage is excellent meaning the colors are not fady or light (fady is a word I just made up means fade like feel free to correct me). I have categorized them as best I can into groups of colors I hope this makes things easier in making a selection. 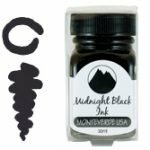 The collection has two Black inks (Midnight and Black Ash), the midnight being darker and fuller while the Black Ash has a dark grey tone to it. You wont get the blues with these colors, sorry that was to easy! 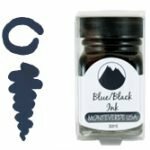 Monteverde has always had one of the better Blue/Black inks and what I mean by this is many other BB inks are more grey and with no real blue tones in them, Monteverde has crafted a BB ink more true to the name. 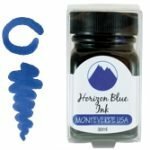 Horizon Blue would be your Royal Blue for when your looking for a pure blue ink rich in color without the lighter turquoise hints or purple as in other blues. Caribbean Blue now your getting into a more playful or cheerful color, Here we have what would be Monteverde’s version of a turquoise or Sheaffer’s Peacock Blue, bright and crisp I like this ink in my journal or when and if I attempt to draw with a pencil and use the Caribbean Blue to fill in. 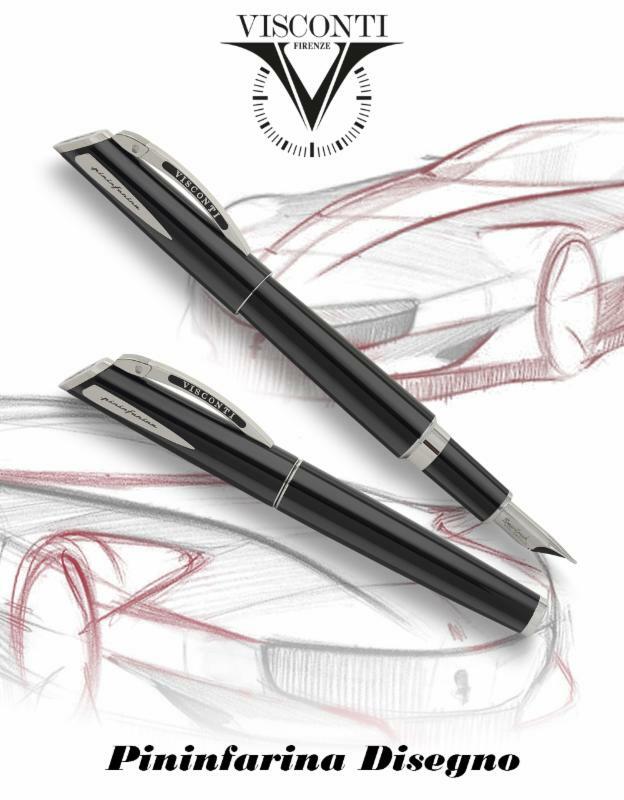 For some reason I think the contrast of the ink with a regular Blackwing 602 looks great. 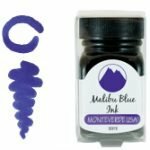 The next ink is called Malibu Blue, here we have a deeper and darker blue not in the Blue/Black family but with dark purple hints to it, so the blue tone remains strong, easily used in any business setting I mention purple only to explain the depth of the ink while still a true blue. In 2003 I spent a couple days on the Island of Capri, Delta pen Company had invited us to Italy for a quick tour of the factory ending with 2 days on the Island. Of course I bring this up because the next blue is called Capri Blue and one of the things I remember most about the trip was how clear and blue the waters of the Mediterranean are surrounding the Island. Not Royal Blue, nor Turquoise this color is cheerful and bright as the sun shines on the water. I must say I was truly impressed that Monteverde came out with 4 different green inks for us as here at the store as green ink is not flying off the shelves. Folks do buy it but green is not the most popular color. Well again Monteverde has captured 4 shades that I think people — this writer included — will enjoy. First up the perfect and truest name and color is simply Monteverde green as the name implies “Verde” this color is nothing more or less than a classic forest green, just what the doctor ordered when green ink is needed with nothing added. Emerald Green is straight outta Oz where this comes from a light version of the California Teal. Bright and clean, I like this color when I need a pronounced green. Yosemite Green is the lighter version of the Monteverde green. I used this one for my Christmas cards this past year and I liked how they looked on white cards. California Teal I find to be a unique teal in that I can’t really say it looks like any other. A beautiful blue/Green teal for when you want to step out of your blue comfort zone but can’t quite bring yourself to write in a pure green. 4 Colors yet totally different, Valentine Red, Mandarin Orange, Napa Burgundy and Red Velvet. The names speak for themselves but each has a story of it’s own. As the name implies Valentine red is a strong red like you see every February on chocolate boxes, hearts and millions of cards. As mentioned in the greens The Monteverde Green is simply that, so it goes for the Valentine Red, a pure and perfect red and nothing else, great color. While in the red family the Mandarin Orange is hardly red but a brilliant and bursting orange an intensity I have not seen since Omas made a very similar orange called Triratna in 1997. I think for orange ink lovers this color is exceptional in coverage consistency, and true to the name for an orange. 5 Stars!! Napa Burgundy keeps with the Italian theme of the brand. I like this color because it’s not a blood red which tends to be dark but red with some darkness added to it. If Valentine Red is to red, I think you will be happy with the Napa Burgundy. If the Red Velvet conjures up thoughts of tasty treats please don’t drink this stuff! Here we have a more brick red moving away from bright colors and Oranges. If you like using dark browns this color could be fun to switch things up with. Here’s where the fun starts with names like Purple Reign and Purple Mist one can only imagine the eye popping, crafting and journaling possibilities that lurk before us. Purple Reign would be our classic color in this group, true again to its name purple is as purple does comes to mind when I write with this color strong and simply purple. Purple Mist more violet clearly a spring time color. 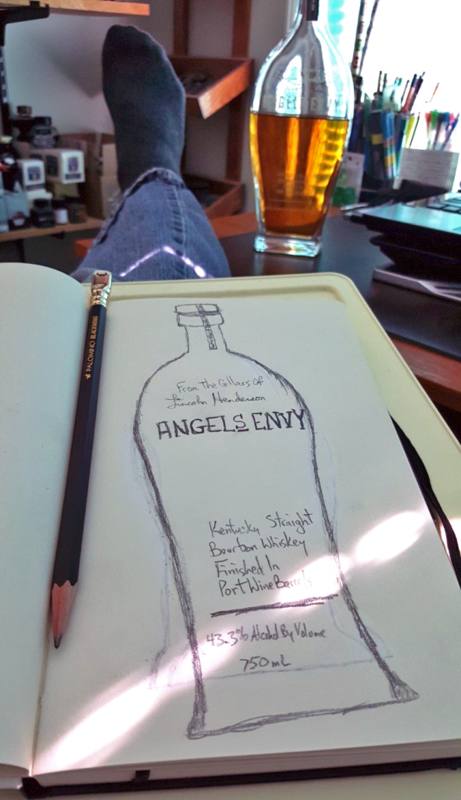 If your drawing Easter eggs this could be a great ink in your favorite pen. Rose Pink last in the trio while this writer is not much for pink ink the Rose Pink is a wonderful compliment if your writing with pastel ink such as Organics Studio in various blues and light green. I think some of my favorite shades of ink are in the brown family, and these 3 colors are right in line with best out there, the names are cool too. Scotch Brown would be the closest to a Sepia family which would be my favorite, this inks works well with Rhodia Series R papers or any cream colored paper. There’s something about brown ink and cream paper for a very elegant and warm presentation when writing personal correspondence. Brown sugar might be miss-named I think, this ink is dark brown with hints of red (to dark for Sepia) a very rich strong brown again works well for personal tasks. Canyon Rust; ya gotta love this name, makes me think of the old gold-mining equipment rusting away in the California desert. Sorry I think I went off track a little. The Canyon Rust is a lighter shade of the Brown Sugar. Warm and welcoming, I like this ink a lot again for personal writing, drawing and journaling. It makes me want to send out a hand written note right now. Thank you for reading this today, If you would like me to send you some samples please send me a message and I’ll get some out to you. USA residents only.